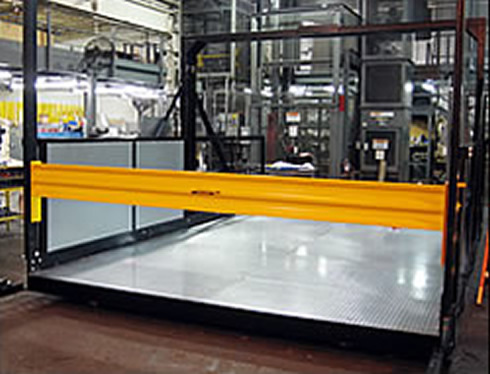 Wildeck’s innovative CargoLok™ bi-parting safety locking carriage gate for Wildeck VRCs is the ideal solution for constraining heavy carts or other rolling loads placed on the VRC carriage. 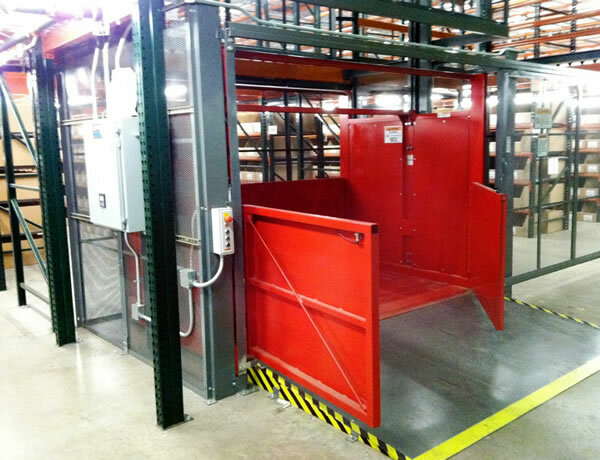 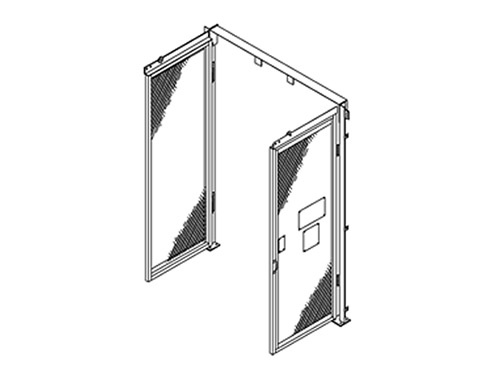 It features rugged steel-reinforced construction combined with a heavy-duty sliding deadbolt that securely locks the carriage gate. 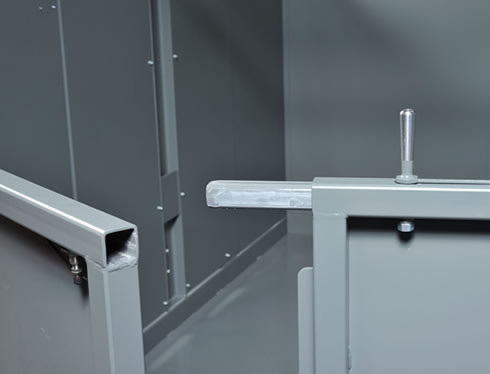 An easy-to-use deadbolt handle is conveniently located at the top of the gate to allow the operator to securely engage the VRC gate lock. 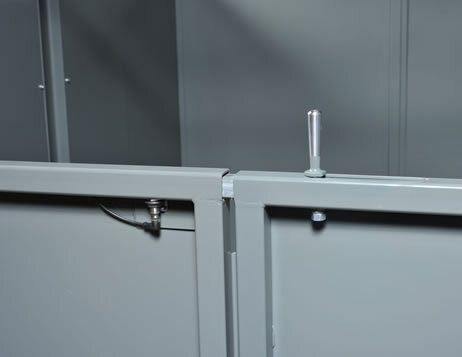 The fully integrated “Gate-Locked” switch confirms that the gate is closed with the deadbolt engaged before the VRC can be operated. 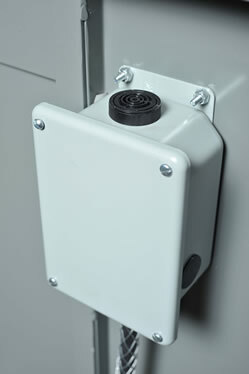 An optional audible alarm is also available to alert the operator to lock the gate.